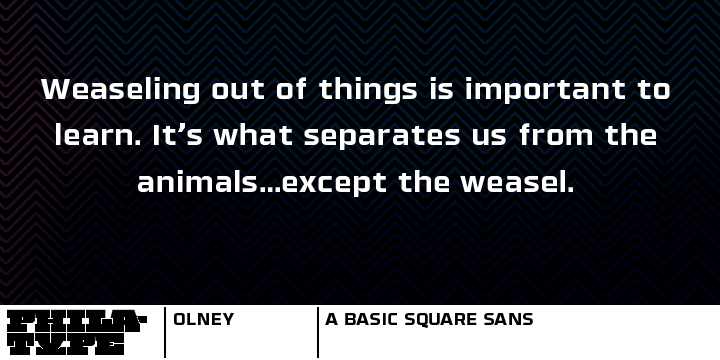 Olney is a simple yet very attractive font, the clean sophisticated Olney has a timeless appeal to it. It seems as if the square sans stripped down to very basic, nonaligned shapes. For the most part, Olney is a display family. It comes with lighter weights with ability to maintain legibility at text sizes. The typeface has letterforms fashioned precisely to appear constant, brawny, and very technical. Olney was built with painstaking attention on pure, nearly modular forms, to make sure that the family looks timeless. This is unlike most fonts designed off late with inevitable capacity to resort to a modern-day or futuristic aesthetic. Each weight for the beautiful font includes a systematic set of diacritics precisely oriented towards Western and Central European languages.